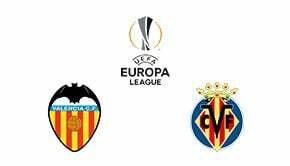 A mouth-watering tie is set to place at the OSK Metalist Stadium as both Shakhtar Donetsk and Eintracht Frankfurt will fancy their chances of an outside shot winning the Europa League. Eintracht Frankfurt head to the Ukraine as the Europa League’s form side after recording a remarkable six wins from six in the group stages. A number of popular betting sites have rightly installed the German outfit as a side to keep an eye on as potential winners. However, drawn against a Champions League drop-out in Shakhtar Donetsk could be viewed as somewhat harsh reward for such a remarkable performance. The Ukrainians finished third behind Manchester City and Lyon in Group F, recording just one win from their six meetings, although the standard of opposition was arguably higher than Eintracht faced. That said, this will be Shakhtar’s first game back following their winter break which may cause them to lack match sharpness, something which Frankfurt cannot claim after having played four competitive games since returning from the Bundesliga break. There are plenty of reasons to fancy the Bundesliga outfit for this one but a trip to the Ukraine is no easy task and there is one stand out outcome that is too good to ignore. Unfortunately, it is the draw but it there is reason to back it to ensure you get the maximum value with top bookmakers. Frankfurt has drawn their last three competitive games including their last two on the road, whilst Shakhtar recorded three draws on their way to third in the Champions League group stages. 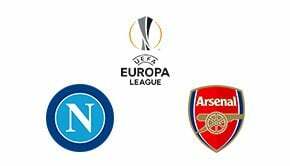 The visitors will score after netting 17 goals in the Europa League group stage making a 1-1 the best prediction for this game. This will be easiest win you will ever have. 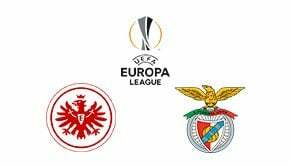 Only Sevilla scored more goals than Eintracht in the group stages whilst the home side netted a solid eight goals in their group campaign. Shakhtar come into the game without any competitive action since December meaning if there is a winner, it is likely to come from the side that won all six of their group games. The pair first met in the first round of the UEFA Cup in 1980 with Eintracht winning through 3-1 on aggregate. Those two encounters remain the only times the two have met in competitive action until this Thursday. Eintracht topped Group H to reach the last 32. Shakhtar finished third in Group F of the Champions League with just one win to reach the last 32. Only Sevilla scored more than Eintracht’s 17 goals in the group stages. Eintract won all six of their group games to progress in style. Shakhtar famously won the tournament in 2009, beating Werder Bremen in the final. 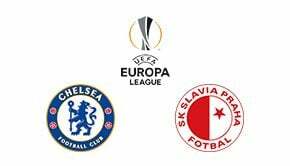 Read other Europe League predictions predictions and more betting predictions.